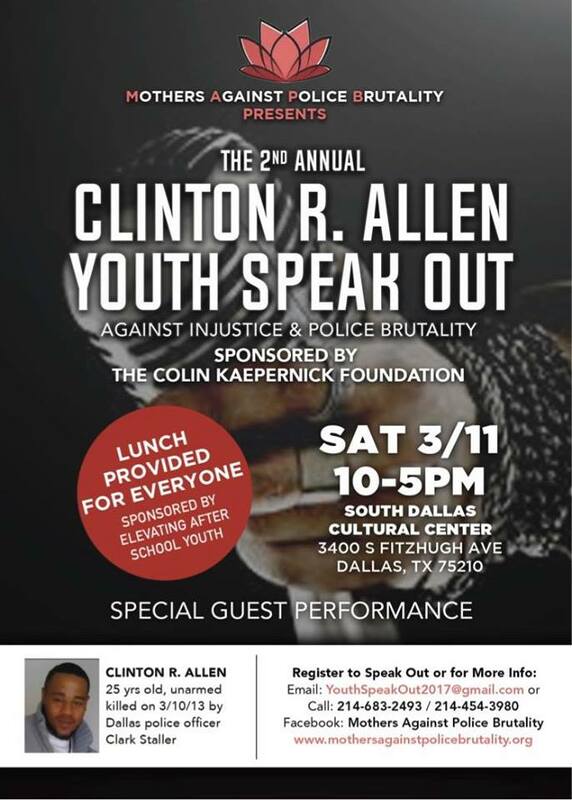 Please join us for The 2nd Annual Clinton R. Allen Youth Speak Out. Sponsored by the Colin Kaepernick Foundation on March 11, 2017 from 10am-5pm. Mothers Against Police Brutality, Inc. Mothers Against Police Brutality is the new voice for justice for victims of police brutality, excessive force and unjust murders by law enforcement. We are multi-racial, multi-ethnic coalition uniting mothers nationwide to fight for civil rights, police accountability and policy reform.